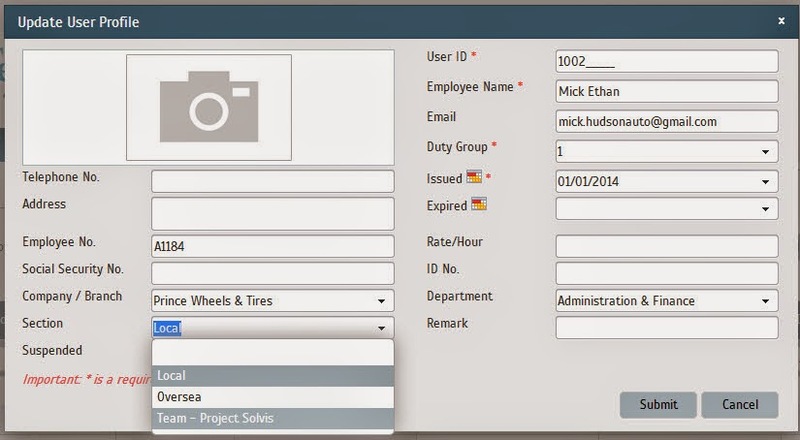 Now, the system can limit a manager or a team leader from viewing the attendance data of his staff or team members. 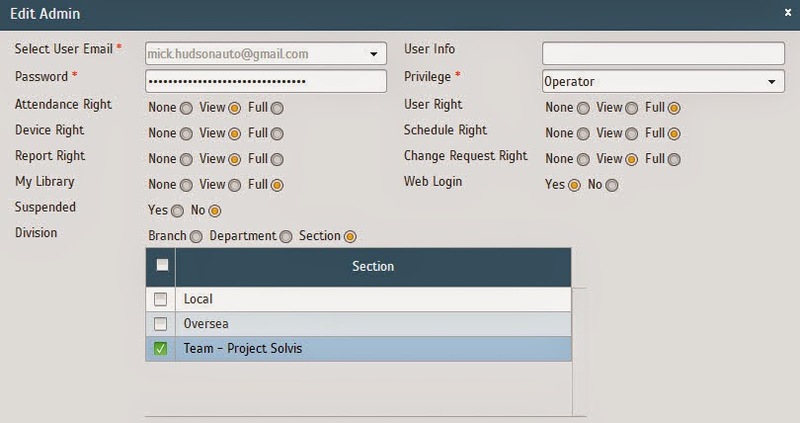 You can create Section and assign employees into the section. Refer to Project Solvis example below. Now you can assign the employee into the new section under User Profile. Finally, you will need to do some configuration at the Admin page (under Configuration tab). Select the manager or team leader, and define hisr access level. Select the name of section under Section page.